Imado-bashi Bridge spanning the Sanya River in the Asakusa district, Tokyo. In the back is Matsuchiyama, a small hill on the west side of the Sumida River. On top, Honryuin can be seen. Locally known as Matsuchiyama-Shoten, it is a sub temple of Senso-ji and dedicated to Bishamonten, one of the Seven Gods of Good Luck. 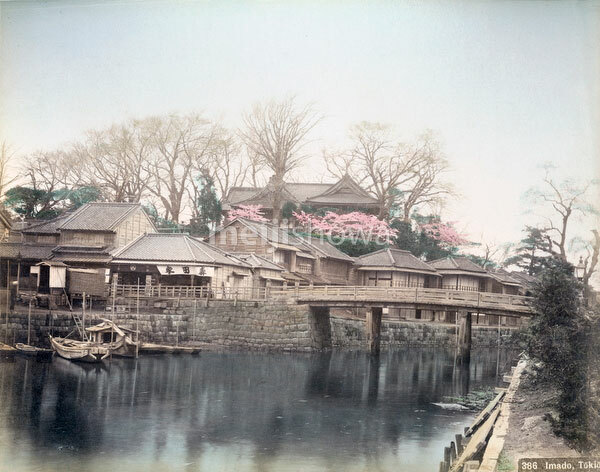 Japanese author Kafu Nagai mentioned this place in his novel Sumida River.